Sepco Type LB Conduit outlet body with trade size of 2-1/2-inches, features sturdy corrosion-/weather-resistant sand-cast/copper-free aluminum construction and aluminum enameled finish. It has flat back design that offers easy mounting close to walls. Conduit body measures 12.81-Inch x 4.5-Inch x 5.31-Inch. It has capacity of 71.2-Cubic-Inch. It accommodates conductors of size 4/0-AWG. It is perfect for use on rigid and IMC conduits. 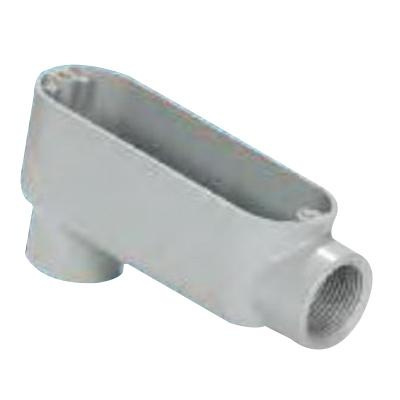 This conduit body with NPT connection, has tapered threaded hubs. It provides access to conductors for pulling, splicing and maintenance. Conduit body is UL and cULus listed.